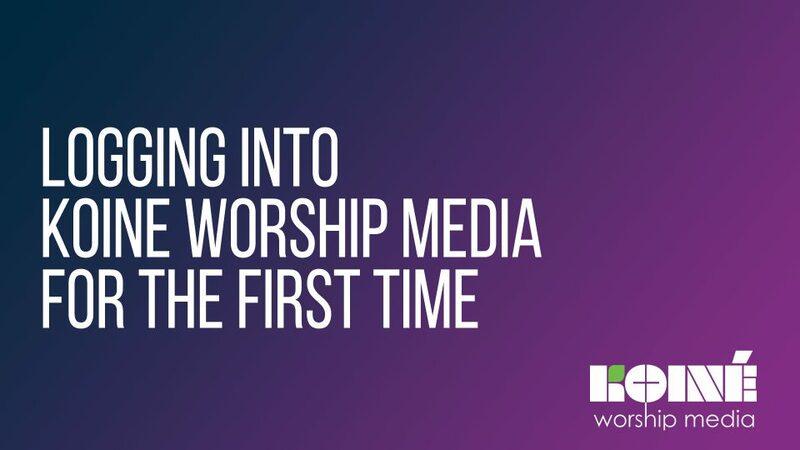 Access free worship resources today → Register now! If you’re logging into the new site for the first time, you will be required to reset your password. Click on the “Sign In” button in the top menu. Instead of logging in using your old password, navigate to the bottom of the login window and click on the “Forgot Password?” link. Enter the email address you used to set up yuur account. Once you submit your information, you will be sent an email to confirm you’ve reset your password. Navigate to the bottom of your Account Dashboard to the Email and Password section and click on the “Edit Email & Password” button. Enter a new password and save your settings. You’re all set! Be sure and let us know if you have any question or concerns through our Contact Us page. Only Koiné Worship Media partners can post comments.